On Monday morning, Rob loaded up the 18 turkeys he has been raising. Their time had come. With a pickup load of cages, he and Ja’Ana set off for the processing plant we use. It is 1-1/2 hours from our home. We use them because 1)They do an excellent job, 2)They are extremely reasonable in their pricing, 3)There aren’t many places around here that specialize in poultry. It only took them about 1-1/2 hours to do the job. He had 5 cut up for us to grind into turkey burger, 1 cut in 1/2 (for the 2 single people on our gift list), and the rest left whole. Rob and Ja’Ana killed the wait time in a little diner, eating breakfast and visiting. It was good daddy-daughter time, for sure. 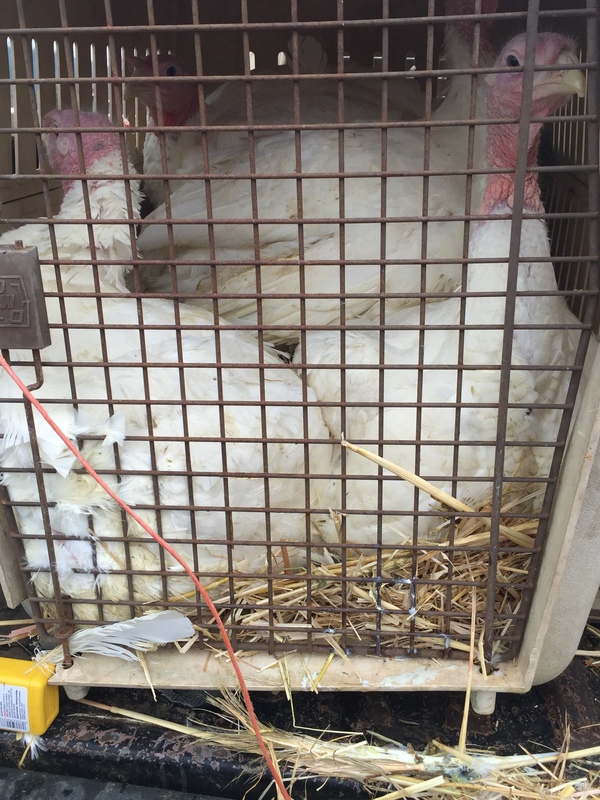 On the way home, they delivered turkeys to the relatives who were receiving them for Christmas. Last year, we did chickens and they were much appreciated. 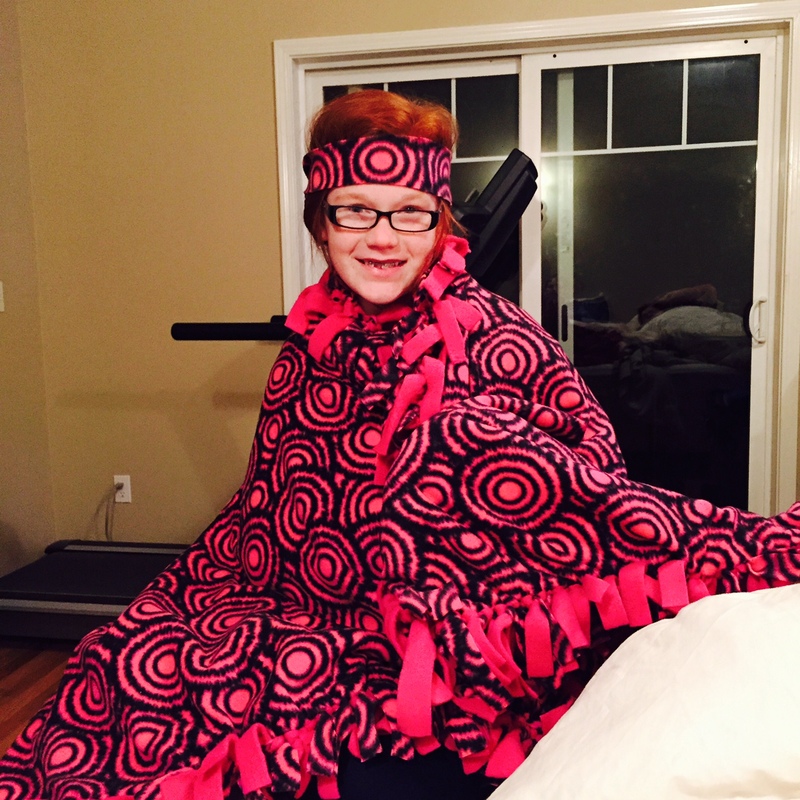 Ja’Ana wisely used the time to sell pies to all the relatives–she’s earning money for a retreat she wants to go on in January, and that is the fund-raiser to help with the cost of that. 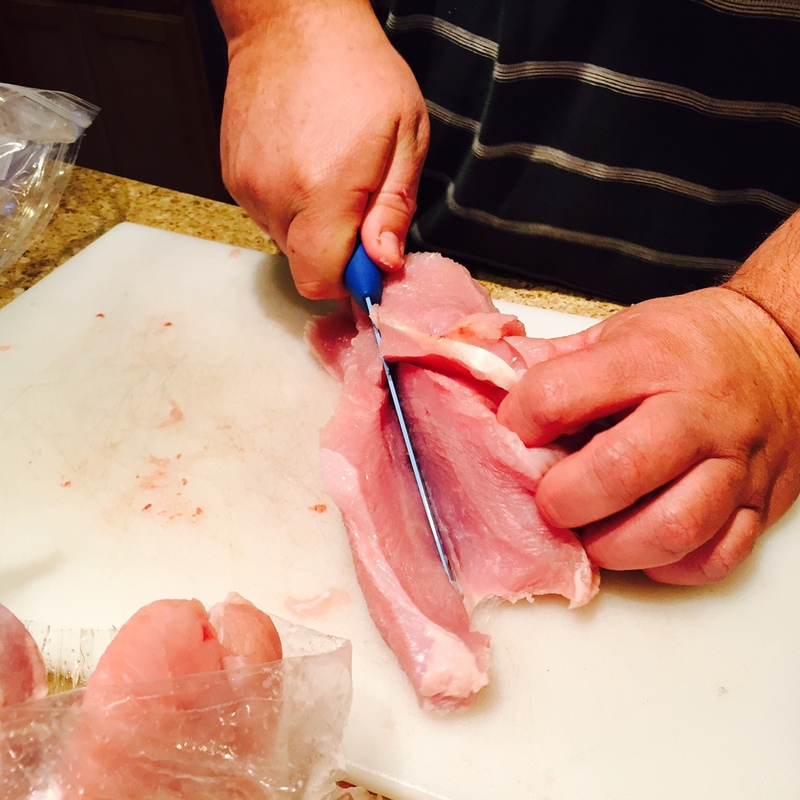 They picked Lovana up from work, and went to a friend’s house to borrow a meat grinder. It was a long day. 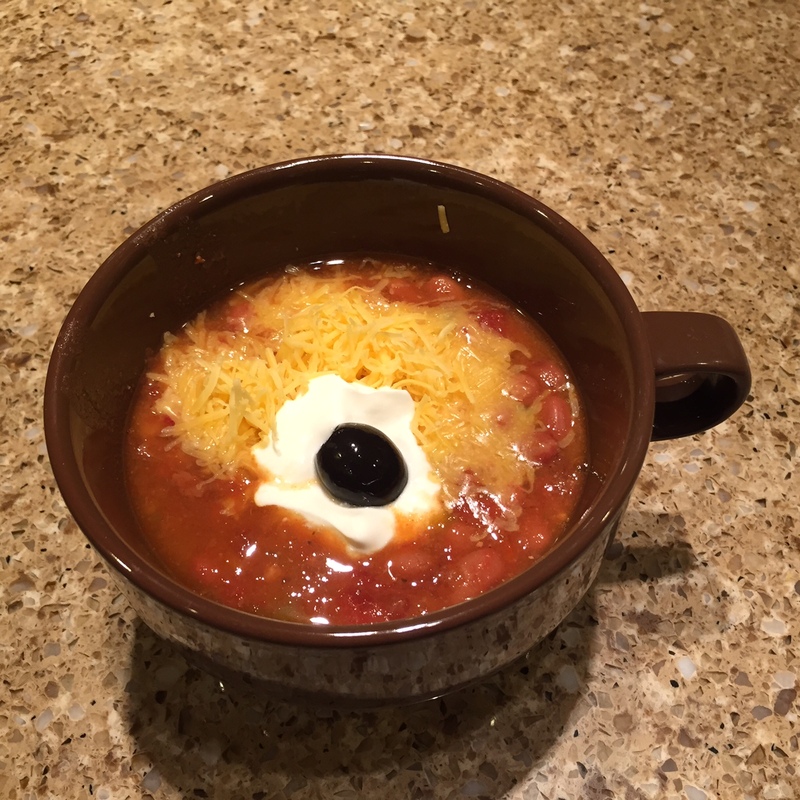 They didn’t get home until around 6:30, where they got white bean chili or ham and beans from the crock pots. (I soaked too many navy beans, so made 2 things and will freeze the extra). The 5 whole turkeys we are keeping, plus the 1 undelivered one went into the emptied chest freezer in the garage. The 5 cut-up ones went on ice in coolers until Tuesday morning. 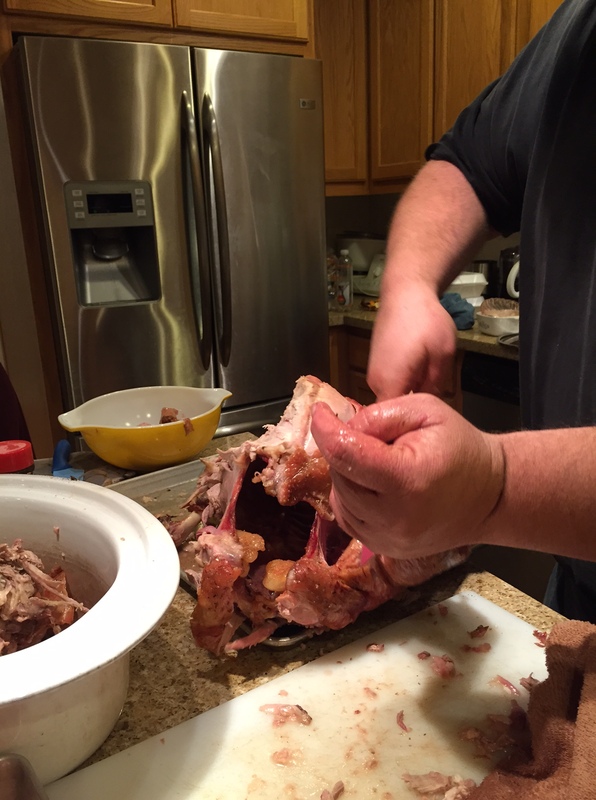 On Tuesday morning, Rob cut the bones out of the breasts and thighs of the 5 turkeys. The drumsticks and wings were frozen in zip-top bags for future meals, 2 per package. The bones that were cut off, plus the necks and backs were frozen for broth making another day. Then he ground it 2 times. We had 3 of these large Tupperware bowls full of the first grind. While he was grinding, he removed any tendons, stringy muscles, etc., whatever didn’t look like we wanted to eat it. He ground it twice to get those undesirable things out, and also to get a good mix between the light and dark meat. During the second grind, Ja’Ana held the bags over the end of the grinder, and the finished burger was pushed into the bags by the machine. I wrote on the bags, twist-tied them, and generally ran back and forth, fetching and carrying things for Rob. I also took the finished bags, bones, meat pieces, etc. to the freezer and loaded it up. There was a pretty big mess to clean up afterwards. 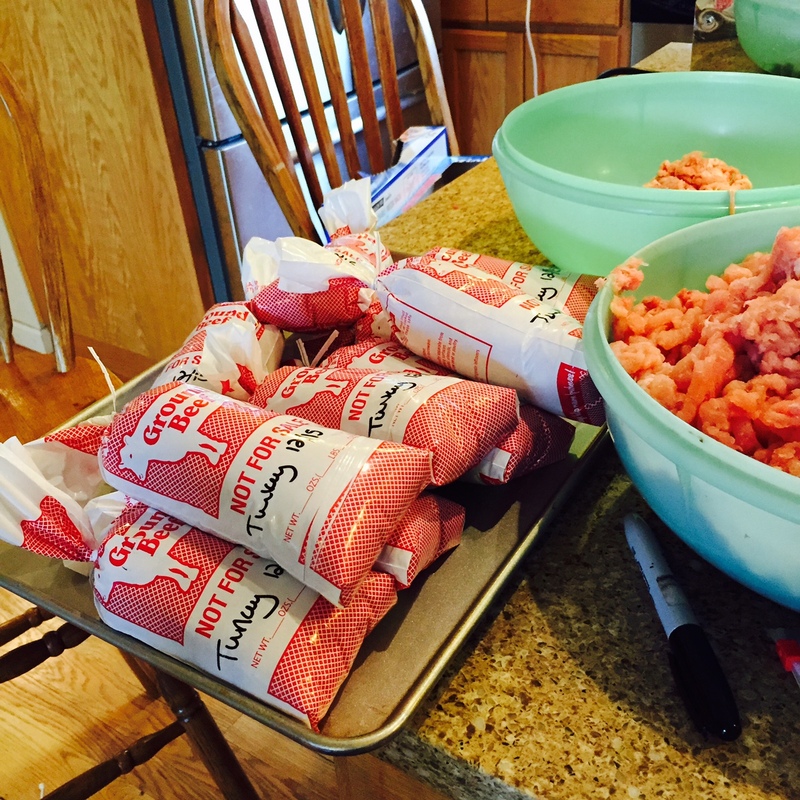 When we were done, we had 32 approximately 1-pound packages (we did not weigh, but filled to a marked line on the bag) and Rob made 2 pans of meatloaf. We also have 5 whole turkeys, 10 drumsticks and 10 wings. I will get a lot of broth one of these days, and I will pressure can it into both pints and quarts. It was a very productive day and my 1 empty freezer is now full with the fruits of Rob’s labors. You may notice there is no dead tree in this picture. It’s gone, and along with it, Rob’s worries about it falling on our house, cars, and especially, Lovana’s bedroom! It was a significant savings, too. The loggers would not touch it, they said it was a “widow-maker” and we should get a tree service to bring it down right away. The first company wanted to charge us $1,200 to bring it down, and really weren’t very interested in the job–looked too dangerous. On Wednesday, Rob drove by a tree service working in a neighbor’s yard. He stopped and talked to them, and they drove right over and looked and quoted us $600. They told him to call on Thanksgiving to finalize plans, so he did and they came Friday and took care of it! What a blessing. The pieces are laying on the ground, but that is no problem for us! It was cheaper that way. I planned menus for the week. I did not shop for Thanksgiving. 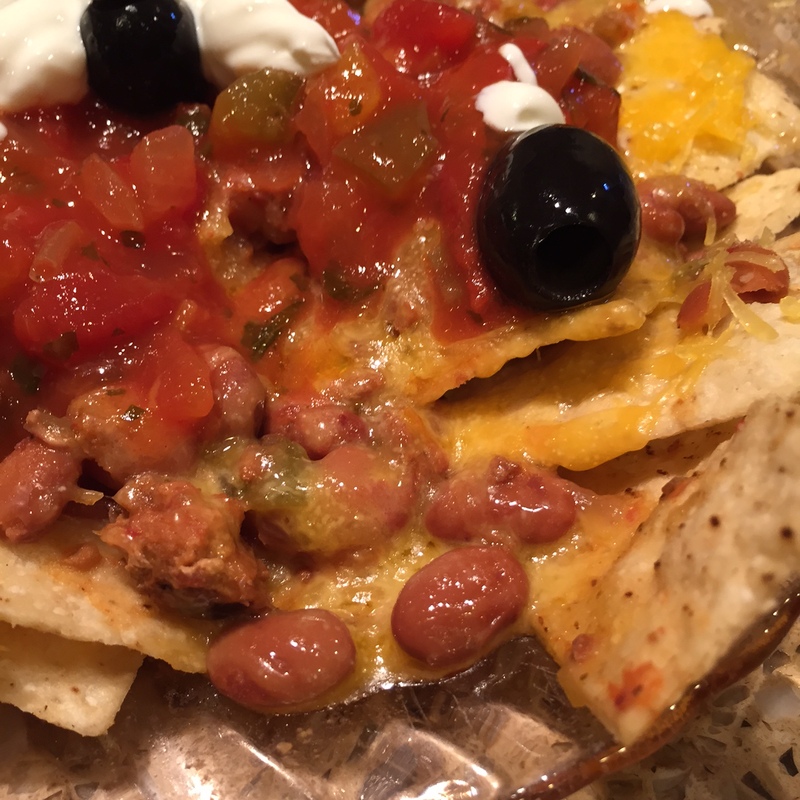 Everything was from the freezer, pantry, etc. or other people brought it. I did spend about $50 on Saturday at Grocery Outlet to get a few things I needed, including gluten-free pretzels for an upcoming 4H community service project. I will buy milk and butter if it comes on a good sale, otherwise, I’m done. 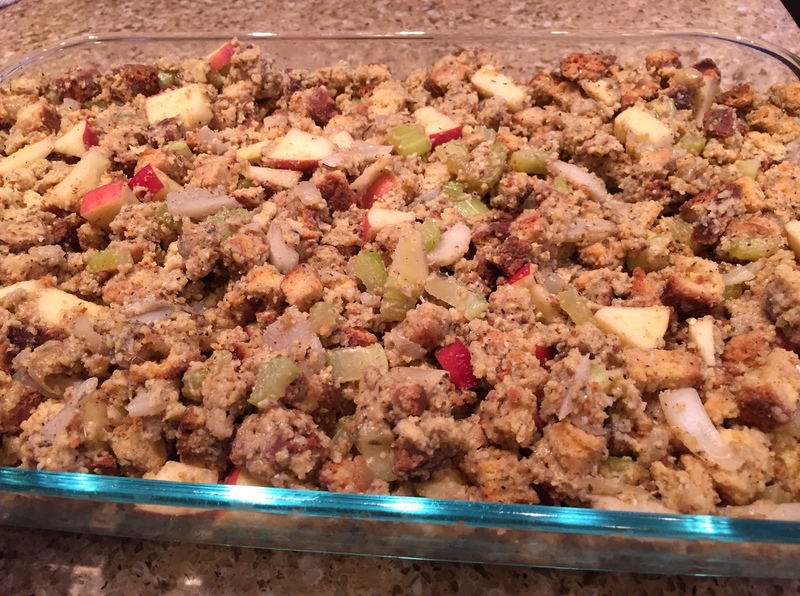 I made gluten-free stuffing with apples and water chestnuts. 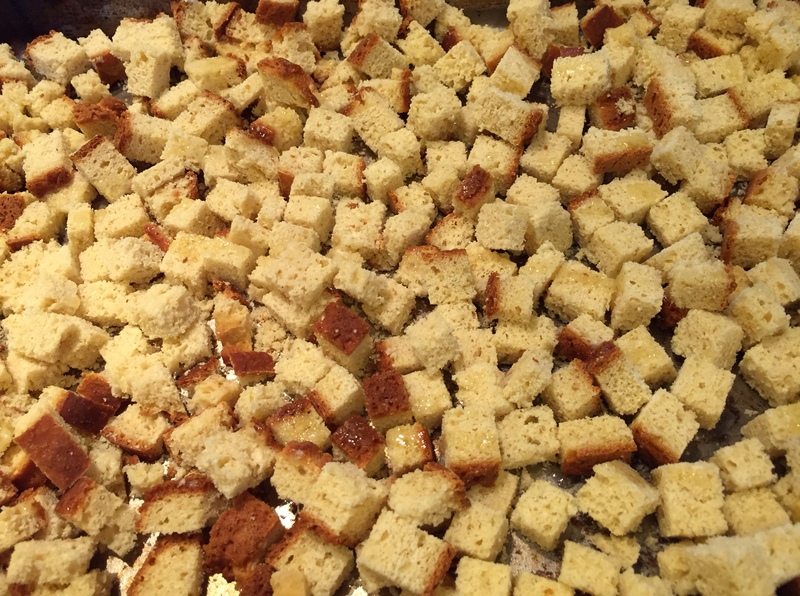 I figure I saved about $15 by making my own stuffing croutons instead of buying 4 boxes for gluten-free stuffing mix for about $5 per box. I got some flour sack dish towels to embroider at Walmart–10 towels for about $8. I seldom go to Walmart as it is out of my way. I was delighted that they were still very reasonable to buy there. I love to embroider on them, compared to other towels, since they wipe dishes so well. They are pretty and very useful as gifts. I cooked another squash. We were blessed with so many. This week is going to be another busy one around here! All of our weeks are busy, but this one has some things to do that are unusual and interesting. On Monday, our 18 turkeys are going to be butchered. We had 1 left from the last time we butchered that we used on Thanksgiving, so we were ok with waiting until after the big holiday for our appointment. Rob and Ja’Ana will drive 1-1/2 hours to the butchering company we use, after her guitar lesson in the morning, and get that done. We have freezers to rearrange this afternoon to make sure they will all fit in. Several of these turkeys are gifts for people for Christmas, so he will deliver some tomorrow after they are processed so we have less to fit into our freezers. We are talking about a LOT of turkey. 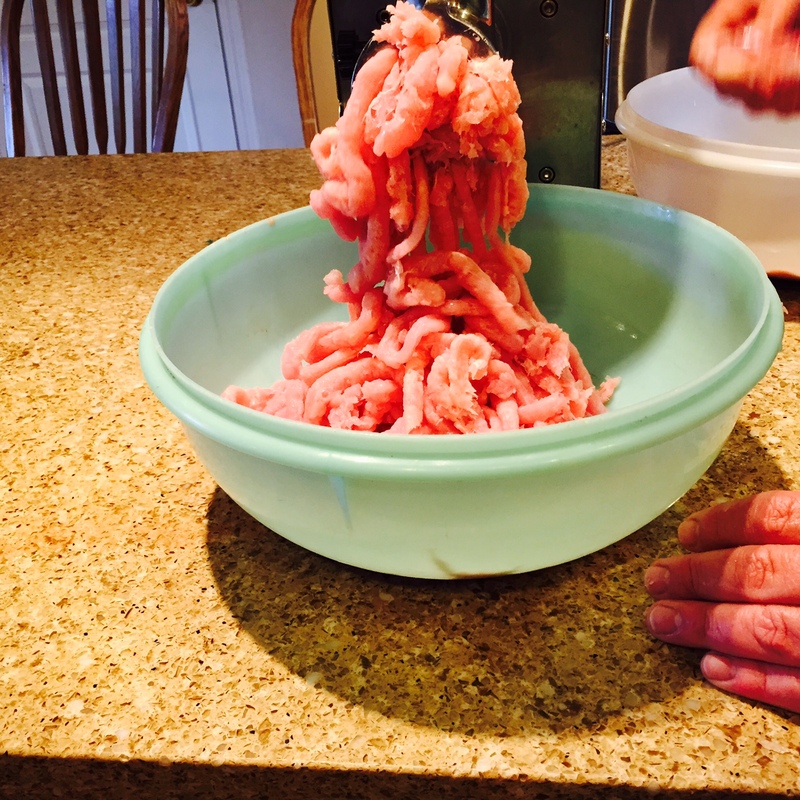 We are borrowing a grinder, and will spend quite a bit of time Tuesday grinding turkey burger from the breasts and thighs, and making broth, if we can possibly find enough energy. I work Monday and Wednesday this week. Ja’Ana has her homeschool to do. I need to work with her quite a bit on Tuesday and Thursday on that. I set her up for independent work on the days I’m teaching piano, and then do more math explanations, etc. on the days when I’m not. Patsy goes to school Monday-Thursday, as usual, and we have some appointments on Friday, as we often do. Then, there is youth group, dance classes, and an extra choir practice for the girls as well, plus that fact that Lovana works 30 minutes from home and doesn’t drive, so some days we can combine trips, but often drive 2 extra hours a day to take her to and from work. To top it off, I have quite a few projects in the works that I need to make progress on for Christmas. So, this week’s meals need to be quick, use lots of freezer ingredients to make space for turkeys, or cook in the slow cooker so the food is ready in a hurry each evening. Although eggs are a choice each morning, everyone doesn’t always choose to eat them. I actually let them choose leftovers, if they prefer. I also have cereal; most of us don’t enjoy it, but it is a choice, if desired. Pack lunches: salad or sandwiches topped with l.o. ham, cheese, turkey, etc., carrot sticks, etc. 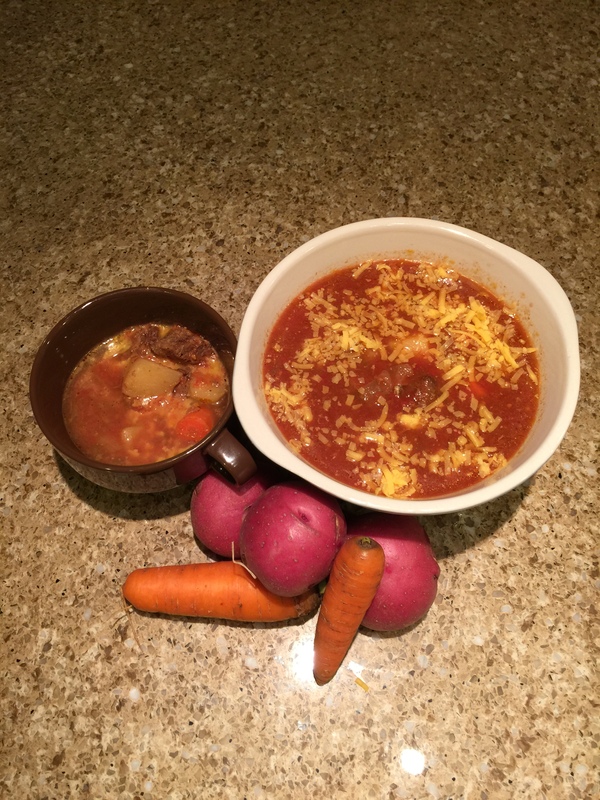 If there are not enough leftovers for Saturday, I might make a vegetable-beef soup with the rest of the roast. I will also grind the leftover roast beef in the food processor, mix with mayonnaise and relish, and make sandwiches from it, so I’ll see how the week goes and what’s left by Saturday. We have quite a few hot dogs I can pull out in case we are burning another pile next weekend and want to roast them. I cook vegetables each night, sometimes 2 different ones. I will pull from home-canned green beans, home frozen cauliflower, broccoli or corn, carrots from the garden (in fridge)and salad ingredients (boughten), which I have. We still have a few tomatoes ripening in the garage from the green ones I picked a month ago, but they are mostly gone. To make: pumpkin muffins, using squash I cooked the day before Thanksgiving. To buy: If milk or butter comes on sale, I will buy that. Otherwise, I have enough of everything for the week. I wanted to make stuffing for Thanksgiving. I needed it to be gluten-free, but I didn’t want to pay the price for packages of gluten-free stuffing mix (I would have needed several boxes at around $5/package) and I didn’t want it to be either too dry or gummy. I decided to take a loaf of gluten-free bread I had in the freezer. My daughter made multiple loaves during the summer because she was practicing for the fair, and we just froze them all. It was unsliced, so I sliced and cubed it. I divided the cubes between 2 cookie trays, drizzled a little butter over them and sprinkled on some seasoning. I used poultry seasoning on one tray and Bragg’s mixed seasoning on the other. My plan was to use one batch for croutons if it made more than I needed, but I ended up using it all. Then, I baked those trays at 350 degrees for 45 minutes, stirring every 15 minutes. The bread cubes were definitely dried out and crisp, but a little chewy in the middle. I had 1/2 pan left of the gluten-free cornbread my mom had brought over. I had some frozen broth from a time when Rob had cooked a chicken with apples and onions, so it was apple-flavored chicken broth. Regular chicken broth would work well, also. Thursday morning, I made the stuffing. Salute the celery and onions until soft in a little vegetable oil. Pour bread cubes, cornbread, the vegetables, apples and water chestnuts into a very large bowl. Sprinkle with poultry seasoning, salt and pepper. Mix thoroughly. Drizzle with the melted butter. Pour 1/2 of the broth over the mixture and stir. Check to see how moist it is. If it is still very dry, add the rest of the broth. Check again. Add more broth if needed. Mine took about 2 cups of broth. The cornbread I had was quite moist but the cubes were quite dry. I did not want the cornbread to be gummy so I stopped adding broth when there was still some definition to the cubes–the stuffing was not all stuck together into 1 big ball when I mounded it on a spoon, but it did not just fall apart, either. The cornbread broke down into little bits that kind of held the cubes together. I poured it into a flat pan–mine is larger than 9″ x 13″ and baked it for about 1 hour at 350 degrees. It turned out amazing! It had wonderful flavor from the apples, onions and celery and a nice crunch from the water chestnuts. It was not gooey or too dry. It was economical, too, when I used the homemade croutons. I was very pleased with the results. I could ask myself what constitutes a “happy” Thanksgiving. Is it the food? The decorations? The company? In our family, I have to say it is all of that, plus more. As I looked around the table and into the next room, which was overflowing with more company, I realized that there were people in those rooms with chronic diseases, job losses, dehibilitating special needs, schedules that were overwhelming to them, sick people, exhausted people, people with spouses missing for different reasons, lonely people and those who had suffered deep, grievious loss. And, that was only the ones who could come! But, each and every one of those people had a hard time choosing which blessing they wanted to share when Rob asked them to share before the prayer. There were so many choices! Even the youngest had no problem choosing things, such as good water, food, a house, etc. .We took the meat off the bones last evening and they were placed into our 2 crockpots. Then we filled them with water, salted them, and then put them on low for the night. This morning, Abbie (my eldest) and I picked the meat off the bones and froze the broth into cartons. I smell soup coming up! After we ate, we cleaned up and everyone sat around eating dessert and visiting. The 2 big cousins went and picked Lovana up from work and that was a great surprise for her, as one of her close cousins is just in from California for the weekend. Everyone enjoyed being with her for the day! 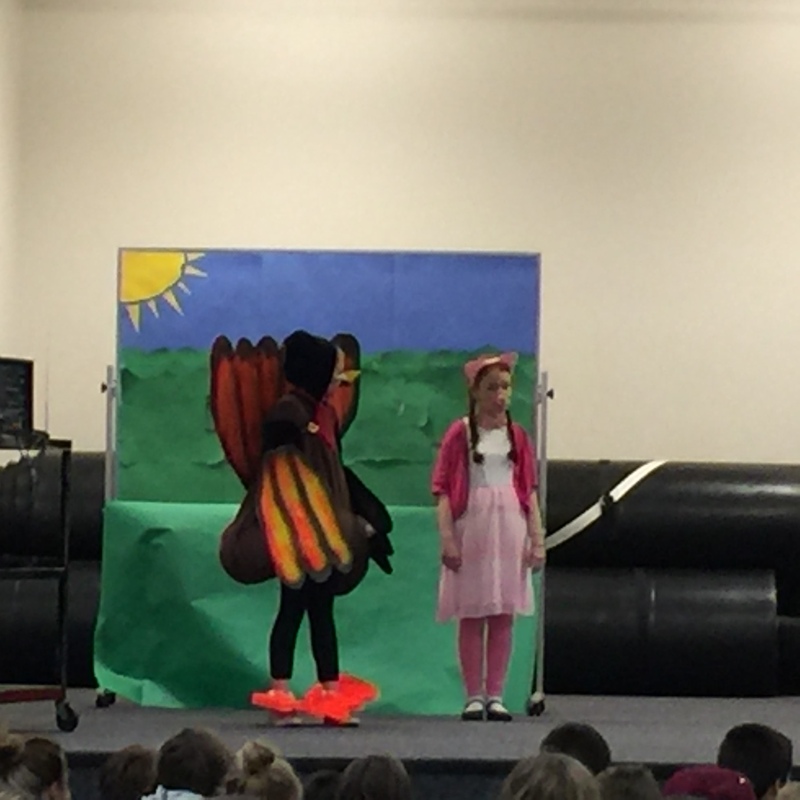 Patsy did a great job in her play at school on Tuesday afternoon. It lasted 6-10 minutes so was just the right length for the young cousins to enjoy. It was really cute and it really put us in the Thanksgiving mood! Today, after things were put away, and people had visited as long as they wanted to, they went home leaving me with a super-clean house. Amazing. To me, it was more than just a happy day–it was a successful, happy Thanksgiving. I hope you had a great day, too. 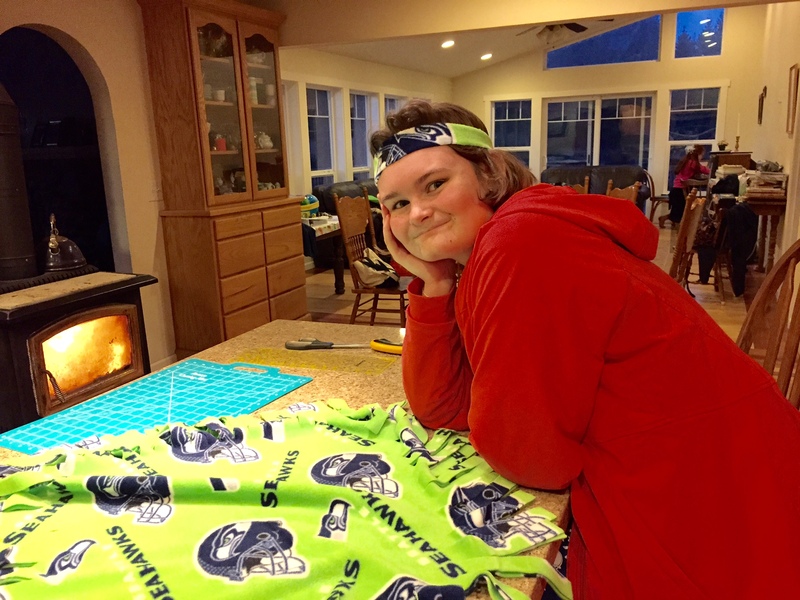 Michaela loves the Seattle Seahawks. 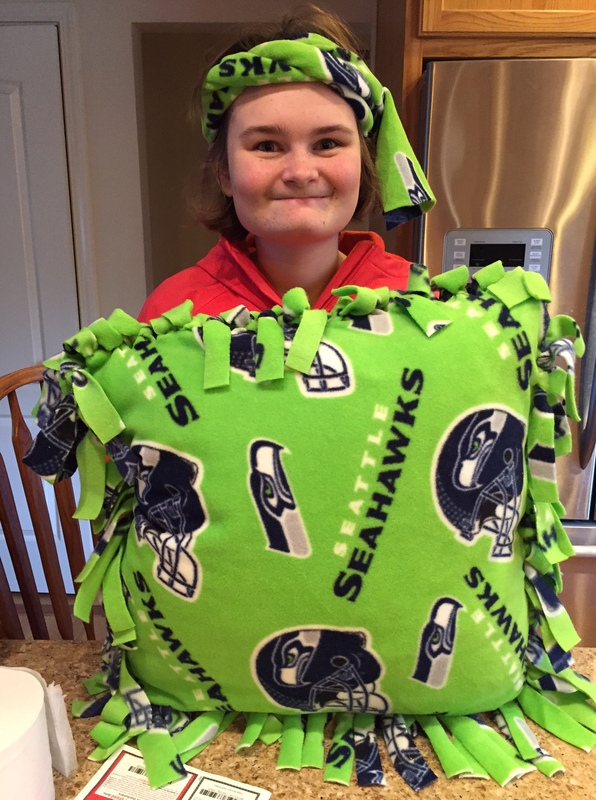 Recently, she and I made a plan for her to make a Seattle Seahawks pillow from fleece. I got the fleece and saved it for when she was going to spend a few nights at my house. I cut it out for her. She cut a couple of corners out, but felt like it was making her too nervous. She was worried that she would wreck it, but she did a great job on the corners she did cut. 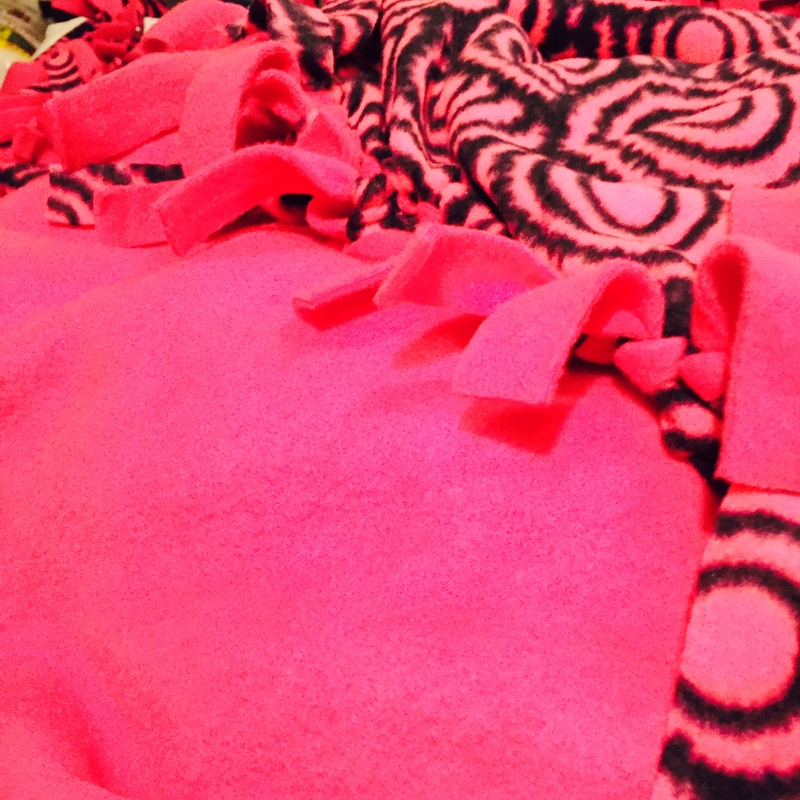 I started with a double layer of fleece, and cut it to about 29 inches square. 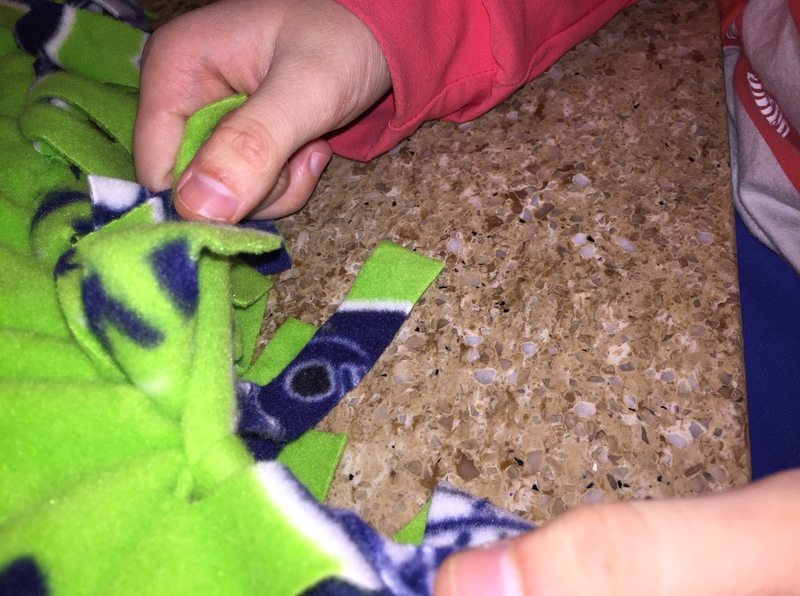 I then cut out 6 inch squares out of the corners, and cut strips approximately 1 inch by 6 inches around the pillow. Then, I showed her how to tie. She tied. I tied. Her sister tied. At last it was done, except for a couple of stray ties that weren’t. Oops! So, while she was in the other room, Rob and I untied and retied one side, and it was done! We had a 16 inch pillow form I had hoped to use. After tying it part way, it became apparent we needed a bigger one. Rob took Michaela to the fabric store and they got an 18 inch one instead. Notice the clever use of the scraps–she made herself a headband/hat with them. Little brother had to have one, too. It was a great project. It didn’t take too long, she could tie the ties with some help, and she loves it. She is a girl who knows what she likes, that’s for sure, and she likes this pillow. This week, Rob and I got to have a night away ALONE for the first time in over 2-1/2 years! 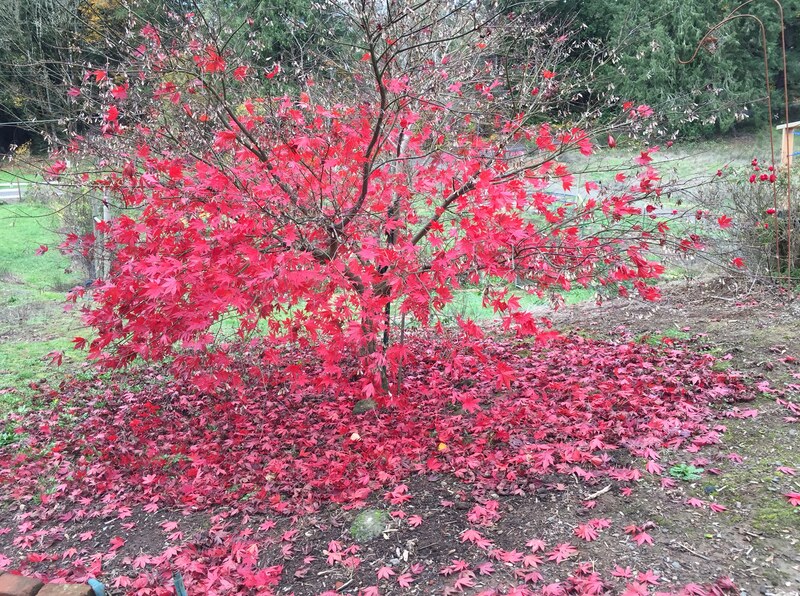 Last Christmas, we received a gift certificate for a 1-night stay at the Oregon Gardens, in Silverton, Oregon. We used that certificate on Friday night. Better yet, it came with babysitting! We used that, too. Although entrance to the gardens was included with our stay, we did not have much time to wander through them because it got dark very early and we slept in a bit on Saturday morning. 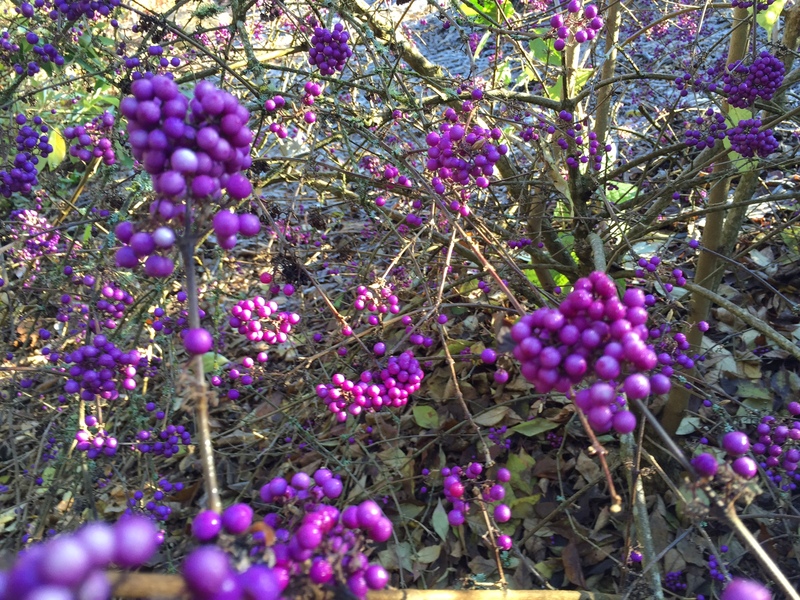 During the walk we did take, these purple berries really caught my eye. They were so beautiful. I do not know what they are called. I just know we liked them! We were able to talk very deeply about our financial situation, our plans for Christmas giving, and other matters that are not easily discussed at home with a house full of listening ears. Those talks were probably my greatest frugal accomplishment this week. I feel like we are on the same page, have lots of hope even in a rough situation, and are both headed in the same direction–something that is very important to both of us. We had many appointments this week, but did not succumb to fast food as much as we used to do. In fact, we have cut that out since Rob’s job loss, except for rare occasions. Because we had let the habit of stopping “just for a few french fries, a Frosty, etc.” creep into our routines, it has been a battle with the children. Clearly, they like doing that. It has been a battle with myself. Clearly, I like taking them. But, even though they cannot understand it the way I can, this is a way for the $10’s and $20’s to stack up in my purse instead of being frittered away. I will say that ice cream was still in order for the child who got a shot at the doctor and she enjoyed every bite! I have been able to put $ away for later. I know I will need it more then. I made split pea and potato soup. We ate it for several meals. It was meatless, flavored with ham broth. My husband loved it, even though he usually likes his meat! I let my niece choose her own pajama fabric from my stash for her Christmas gift. She is autistic and likes knowing what she is getting. She is with us for a few days. I plan to sew the pajamas and let her try them on, then wrap them. That helps her handle her anxiety about Christmas more easily. We will add some Reeses peanut butter cups to them, since they are her candy flavor of choice. 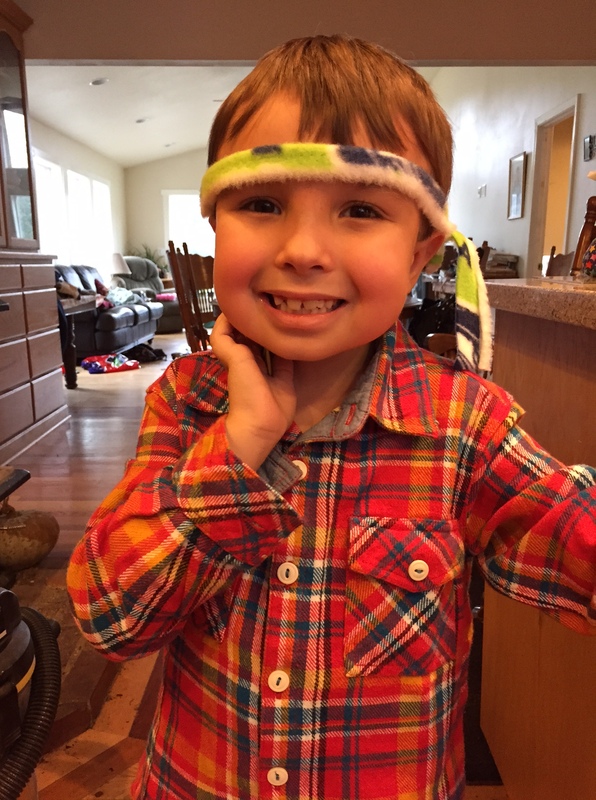 I gave another niece a piece of flannel to use for a school project. 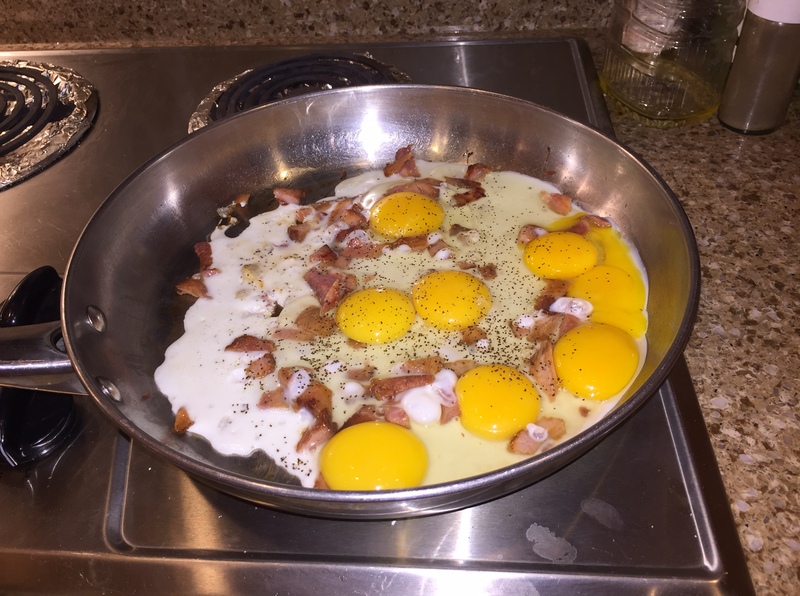 I used lots of eggs for meals this week. Our chickens are laying well right now. I also used a lot of ham bits from the ham Rob cooked a few days ago. We did ham and eggs several times, as well as plain ham, ham sandwiches, etc. I made broth from the bone. I was able to work on several sewing projects that are for Christmas. We were able to do some medical appointments before our good insurance runs out. One daughter was able to pay off extremely large library fines she had. She took in food items to the library during their “food for fines” week. She did jobs for me to pay for the food items. That is extremely nice of our library and helps the food bank. I have not let her check any more items out until the fines were taken care of since they were due to her not being responsible. (She passed up opportunities to return them when we were going to the library by just not paying attention to due dates) We are both happy now. She’s so excited to have library privileges back. Our dentist was extremely kind and gave us a greatly reduced rate on our check-ups because he knows us and our situation and wanted to be kind. We have no cavities, which is good, and saves money, as well. I have been practicing purposeful thankfulness. We are so blessed. 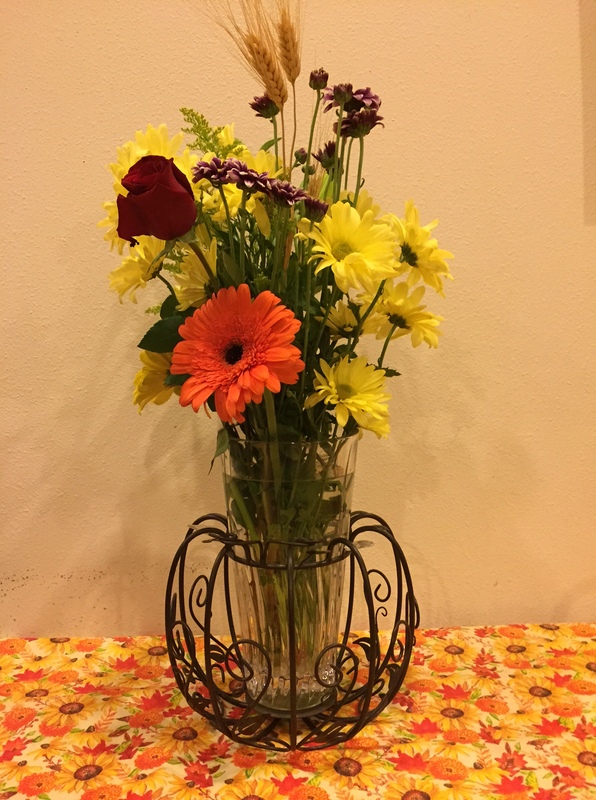 I have been taking the time to purposefully be thankful this fall. In September, when Rob’s job ended unexpectedly, we were both cast into a daze–stunned by the news that, after almost 19 years, he was no longer wanted. After a couple of weeks of wandering aimlessly around on auto-pilot, unable to focus, unable to do anything buy cry, I realized I was going to have to be purposeful in how I handled this. The situation was not going to change. Because of Rob’s job as a children and family pastor, both of our lives, plus the lives of our children, were unusually intertwined with his job. We spent countless hours at the church, volunteering in the childrens’ department, on worship team, going to events such as retreats, youth group activities, Bible classes, small groups, etc. So, when his job was suddenly over, we no longer had a church home as well as no income. Both of those things were extremely significant to us. Our children had known no other church and felt loved and nurtured by the people there. The very people we would usually turn to for love and support were suddenly not as available to us. We literally had no place to attend church on Sunday anymore. It was a big blow. The reason given for his dismissal was that, when they hired a consulting firm to analyze the church, they wanted to go in a different direction, and Rob did not fit that direction. He had done nothing wrong. It was “just business.” Ouch. There was not one chance for him to fix anything they did not like, make any changes they might want–nothing. Just go. So, with tears streaming down our faces, we packed his office, and went. We were given a severance package after a week on pins and needles, wondering what we were going to get, if anything. I decided then and there that I did not want to become a bitter old woman, spending the rest of my life in anger, bitterness, or fear of the future. I want to live today with peace, happiness, and contentment. It was going to take work. My plan was to count the blessings I did have, pray a lot, and try to stay upbeat about all of this. Clearly, we needed to figure out things financially as well. It was not the worst thing that had ever happened to me, I reminded myself, but it was right up there. We both felt blind-sighted, betrayed by those we had considered our friends, anxious and upset. To make things even more stressful, we are in the middle of an adoption (our 8th) and it is not final. You are supposed to be able to support children you are adopting, and now Rob has no job. My small, part-time piano teaching business does not cover our bills. Also, he has had back trouble for quite a few years, and is in the middle of analysis by the doctors, trying to figure out how to fix this problem. We will find out soon if he is facing surgery. He cannot just go get a physical job as he would have done when he was younger to fill in the gaps. We sat down several times over the past few weeks and talked things over. We counted our money and other resources. We looked at our housing situation, our cars, our location, our children’s needs, everything we had and needed. We are examining what Rob wants to do next. We are still working out a plan. We have many ideas, but, after much prayer, have concluded that right now we need to wait and not plunge into any big decisions. We are making progress, though, in our decision-making. We need some time to heal emotionally, and are taking that. 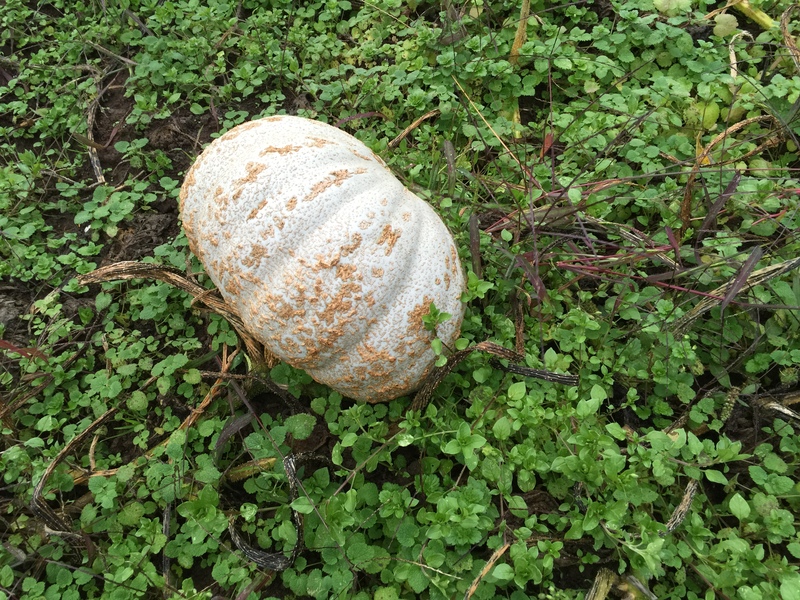 We have been advised to treat this as a death, and not do anything major, like sell our home, for a while. Thankfulness is a big key. I’ve been trying each day to find things to be thankful for, despite our circumstances. There are many. I have had no trouble finding them, when I take the time to look. I am thankful for our family. From the first day of Rob’s job loss, they have been there for us. Different family members have called, offered support, given us money and gift cards, cards and texts with words of encouragement, came and sat with us, helped clean out Rob’s office, let us cry and talk to them, prayed for us without ceasing, taken us on vacation, done heavy jobs since Rob’s back is so bad right now, and many other things. I am thankful for the many, many people who have given us support from the church. We have received many phone calls, cards, texts and emails showing their love to us. Many of the congregation did not make this decision at church, only about 3-5 people did, so many people have been shocked, upset and appalled. Most of them continue to attend that church, we have been very verbal with them that we don’t want them to quit; it would serve no purpose to have people quit going to church because they are upset. Hopefully, things will get better for them there. If it doesn’t, what they do needs to be their decision, independent of what happened to Rob. I am thankful that we are ok financially for a while. 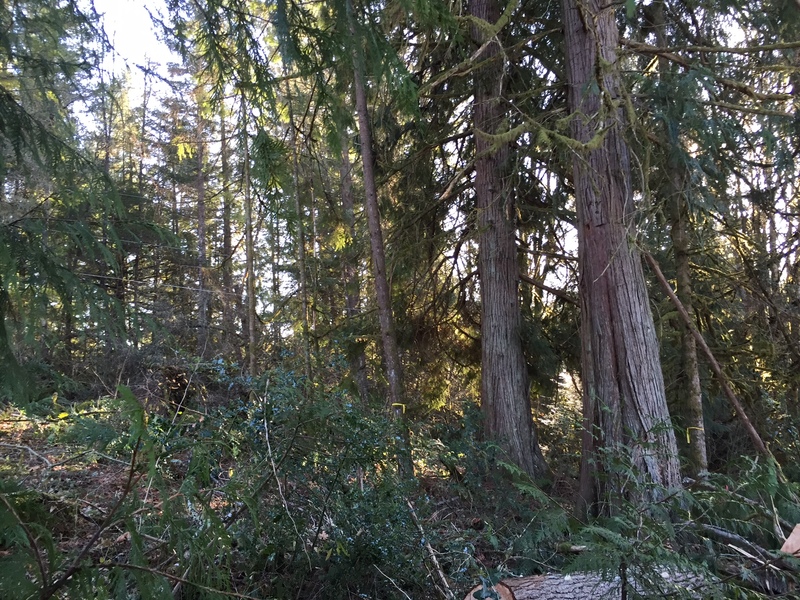 Between the severance package and some logging we had done, we have a little while to think. We have a huge stockpile of groceries because I can and freeze so much garden produce, Rob raises meat, and we buy things in bulk and on sale. We have filled in some gaps in our storage over the last few weeks and am now going to work on using up some of the stockpile, and saving the money that would have been spent. We have good insurance for a while, so are getting as much done as we can while still on that. I am thankful that we have each other. Together, we can get through. I am thankful that God is not dead. People disappoint, but He never does. This coming up week will be a busy one. I am going to enjoy spending time with our nieces and nephew. We are going to watch Patsy be a pig in a little 10-minute play at school. Family with gather on Thursday and we will celebrate Thanksgiving. I am going to enjoy this week and continue to count my blessings. They are many.